Cell site maintenance is crucial to the ongoing protection of your equipment. To keep your shelters in the best possible shape, consider some of the following telecom maintenance and improvements that can add life to the facility. Updated roof coating — Protect expensive equipment from rain, snow, and wind. Trim painting — Freshly painted trim keeps your shelter looking its best. Mortar Primer and Sealant – Protect the longevity of both the exterior and interior of your shelter. Latex exterior coatings — Best available protection for the exterior of your shelter. 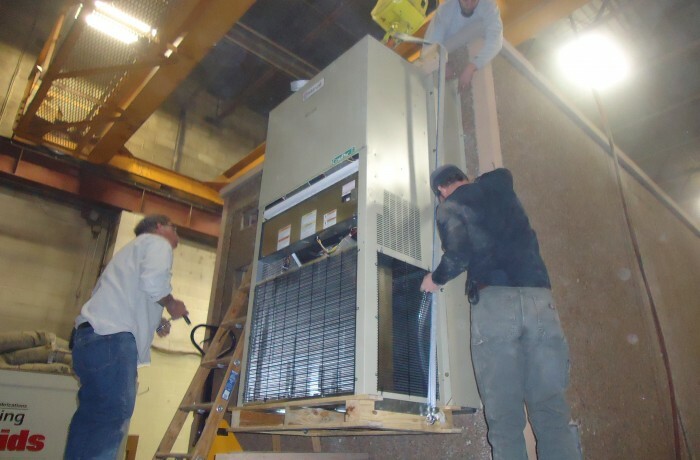 HVAC maintenance and repair — Help keep your shelter cool in summer and warm in winter, so your equipment doesn't experience temperature extremes. Why is Regular Cell Site Maintenance so Important? Since cell site maintenance is a year-round concern, it is easy to neglect these tasks. Not only can this lead to property damage, but it can also sometimes cause you to collect fines for not maintaining city or local standards. Trying to do it all yourself is not only time consuming, but it can also be problematic — since you are likely not knowledgeable about all aspects of maintenance and repair. Why Choose CellSite Solutions for Telecom Shelter Maintenance? CellSite Solutions offers telecom shelter maintenance plans that are designed specifically for your unique needs. We understand that your shelter is different than any other shelter. Therefore, we will work with you to put together a maintenance plan that meets your needs, exceeding expectations — now and in the future. Additionally, we are dedicated to making certain you get the best value possible. Questions about our products or services? Check out our FAQ page or contact us to learn more about how we can help with your next project.